Here’s a fresh look at economic inequality in America. 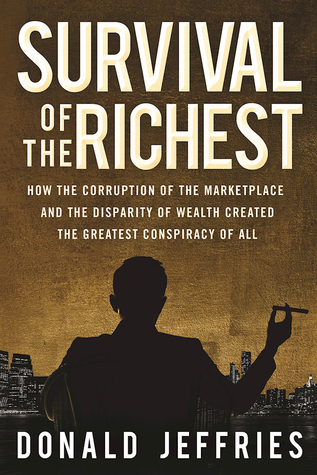 Survival of the Richest scrutinizes how the collective wealth of America has been channeled from the poor and middle class into the hands of a few elitists. American industry has been gutted, with wages and benefits stagnant or reduced, thanks to disastrous trade deals, outsourcing, and the crippling of unions. The Occupy Wall Street movement, and the presidential campaigns of both Bernie Sanders and Donald Trump, reveals how more and more people who are struggling understand that the system is rigged against them. While Americans have been trained to direct their scorn at welfare recipients and the poor in general, a tiny handful of plutocratic elites have profited on an unfathomable scale through corporate welfare and other perks. Unimaginable salaries and bonuses for the 1%, contrasted by layoffs and reduced pay for the majority of the workforce, along with increasing calls for austerity measures and lowered standards of living, have become the “new normal” in America. Author Donald Jeffries argues that this record economic inequality is more than an unintended consequence of globalism. In Survival of the Richest, he shows how the consolidation of wealth may well prove to be the greatest conspiracy of all. Donald Jeffries’s novel The Unreals has been lauded by the likes of multi-award-winning author Alexander Theroux and “Night at the Museum” screenwriter R. Ben Garant. 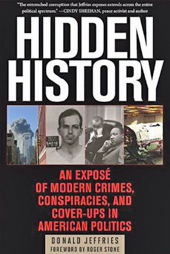 His first nonfiction book, Hidden History: An Expose of Modern Crimes, Conspiracies and Cover-Ups in American Politics, (also available from AFP) , has earned the praise of everyone from political operative Roger Stone to international peace activist Cindy Sheehan to former Congressperson Cynthia McKinney. His 2007 sci-fi/fantasy The Unreals has been compared to The Wizard of Oz and A Confederacy of Dunces, among other things. A second edition of The Unreals was released in February 2015. 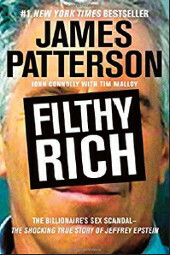 Jeffries lives in Fairfax County, Virginia. Richard Syrett is a veteran radio and television broadcaster based in Toronto, and a frequent guest-host on Coast to Coast AM.